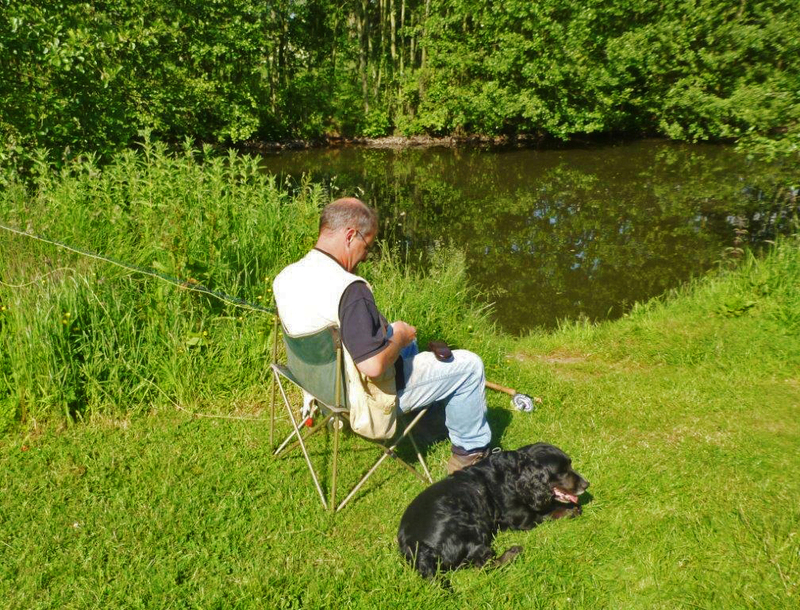 An angler at Elton with his dog. A visitor to the Carp Lakes with his dog. This angler has brought his dog along. The Sprocker was very well behaved and enjoyed the afternoon sunshine.